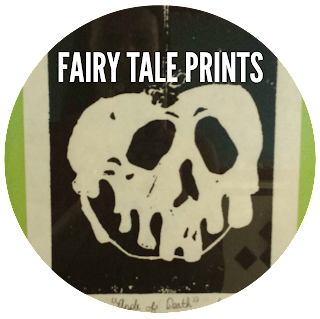 Yes it sounds like it should read: Fairy Tale Prince but really it's Prints. As in printmaking. 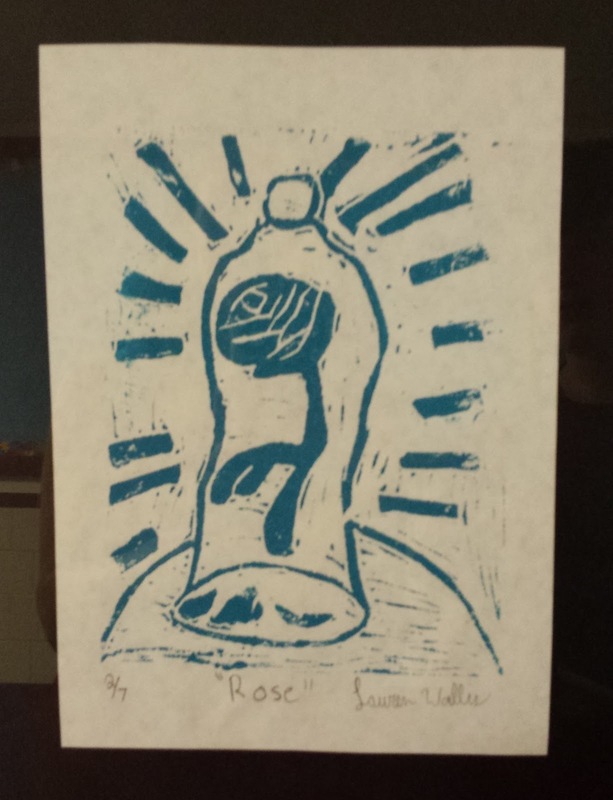 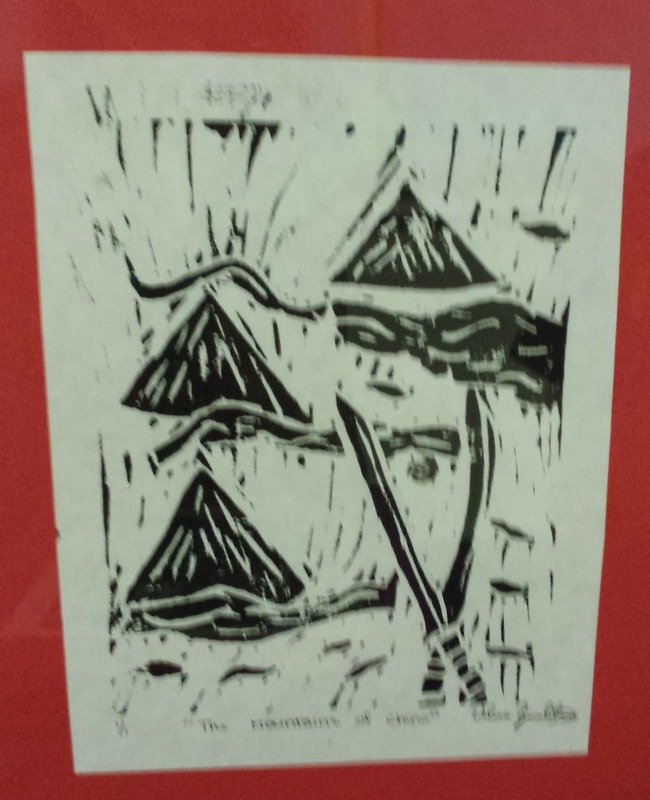 These beauties were linoleum block prints created by amazing 7th graders. Their theme was anything from a fairy tale. Some choice a scene, some an object, others just a symbol. 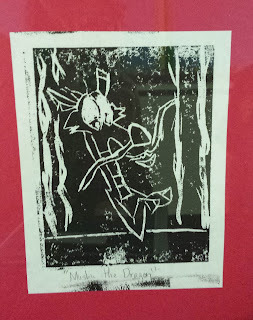 And some were more cartoon character but hey, I don't say no! 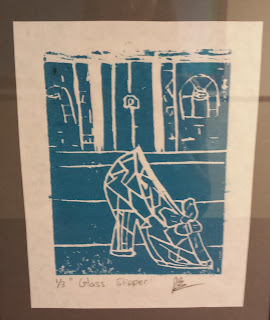 Of course I'm completely biased and think that my son's is one of the best :) It's Cinderella's slipper and he made it for his sister. 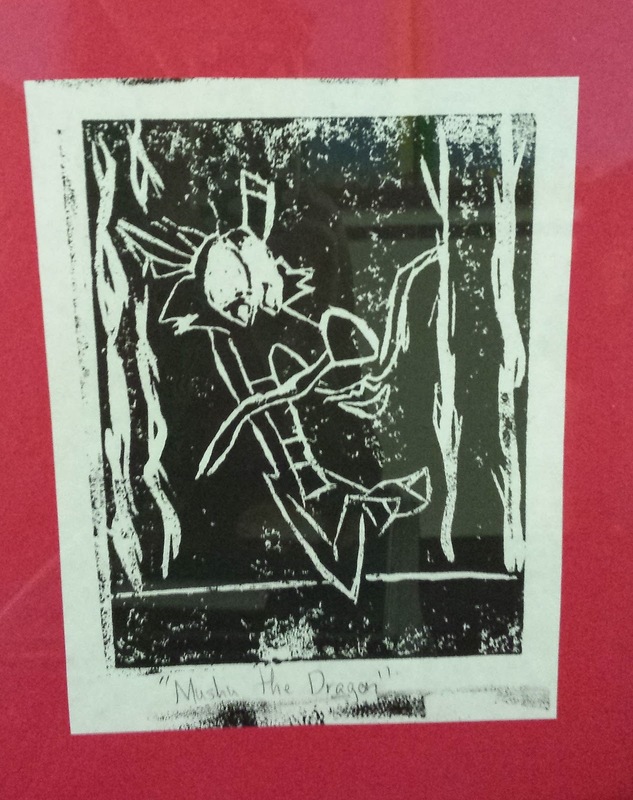 That makes it even better of course! 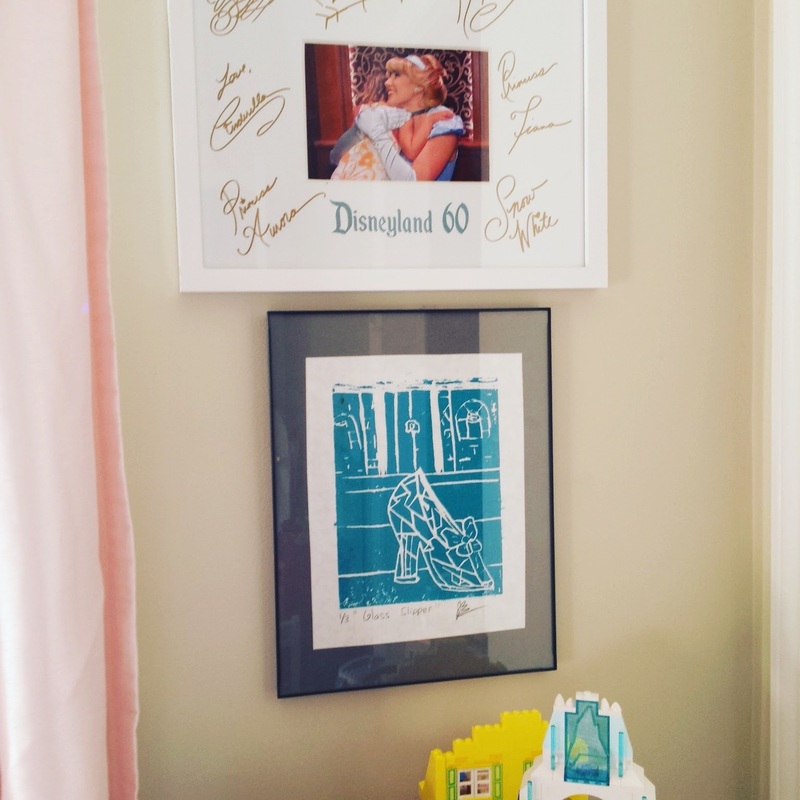 It hangs below her Disneyland souvenir frame in her room. 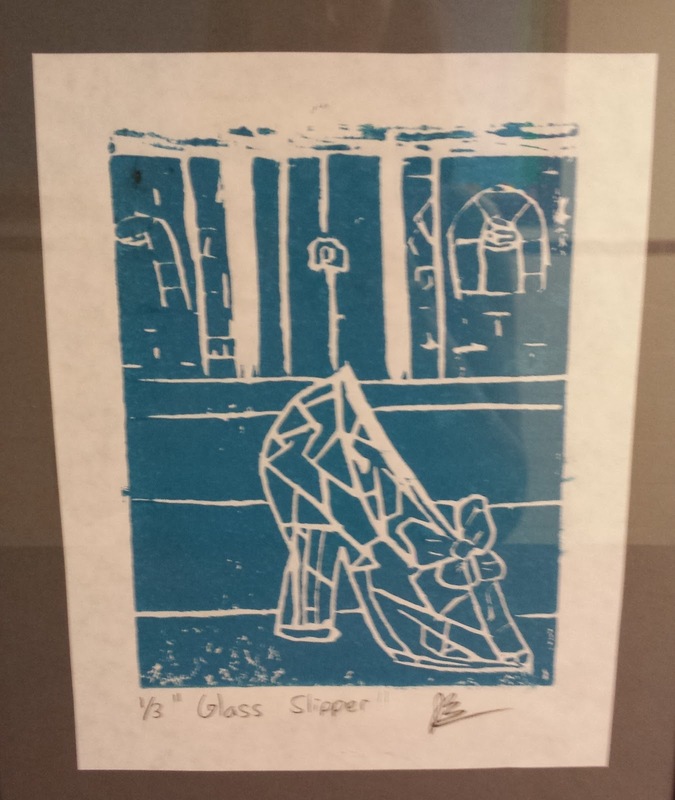 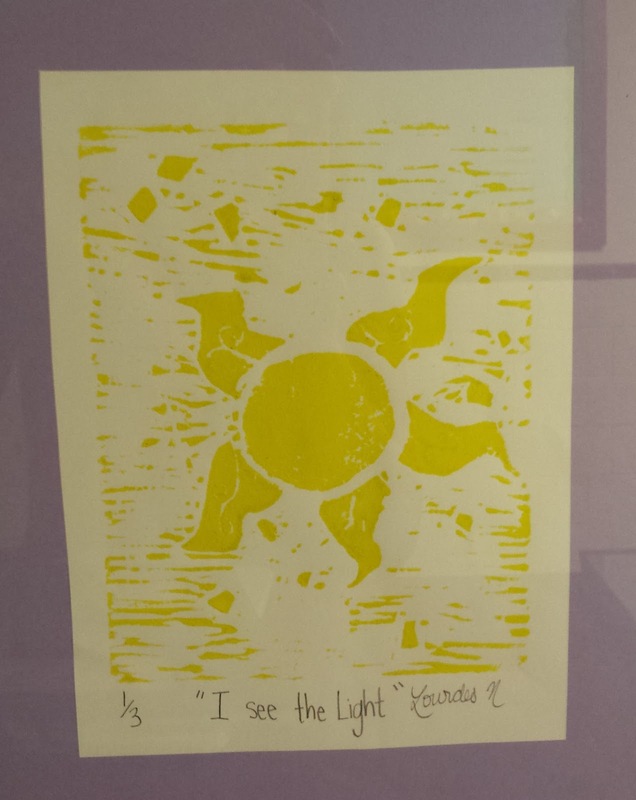 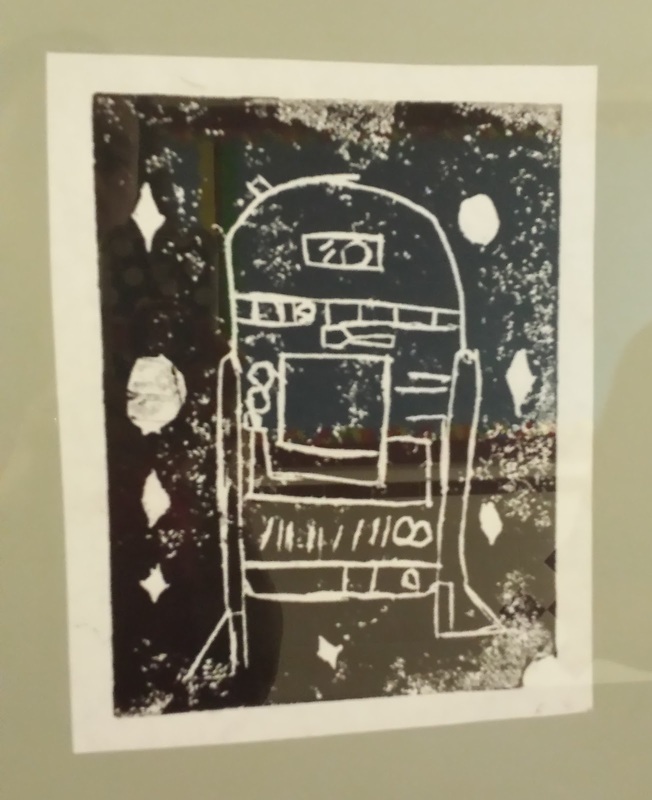 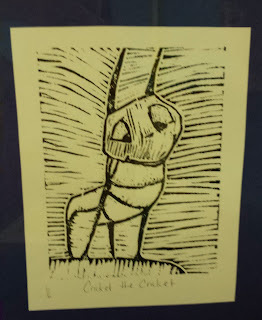 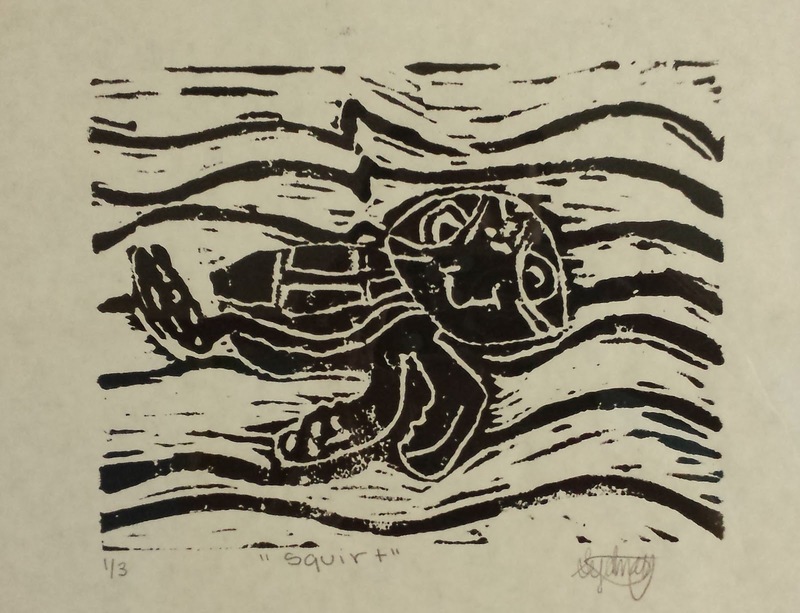 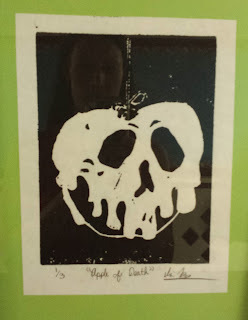 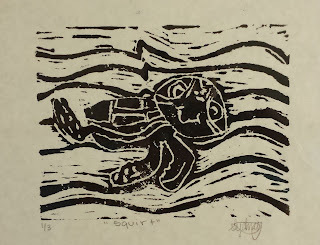 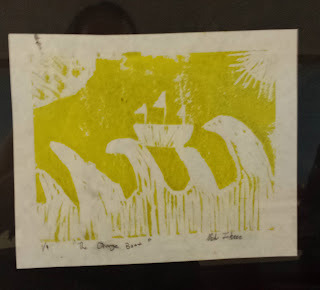 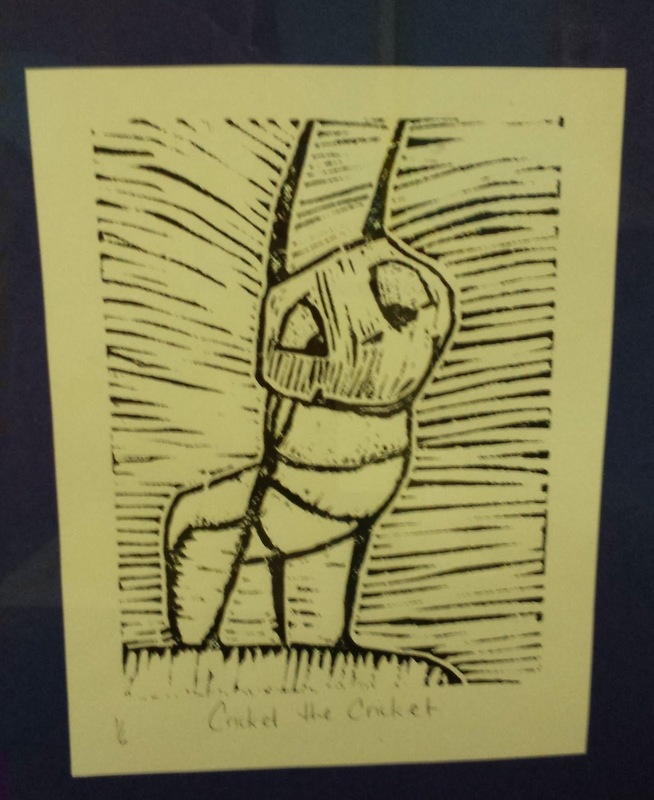 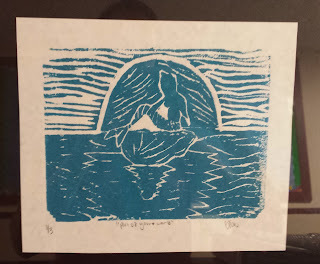 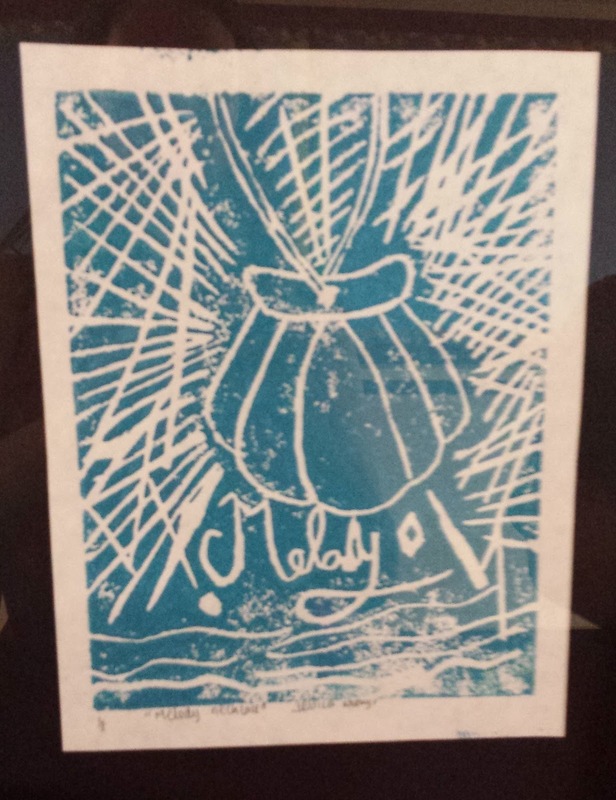 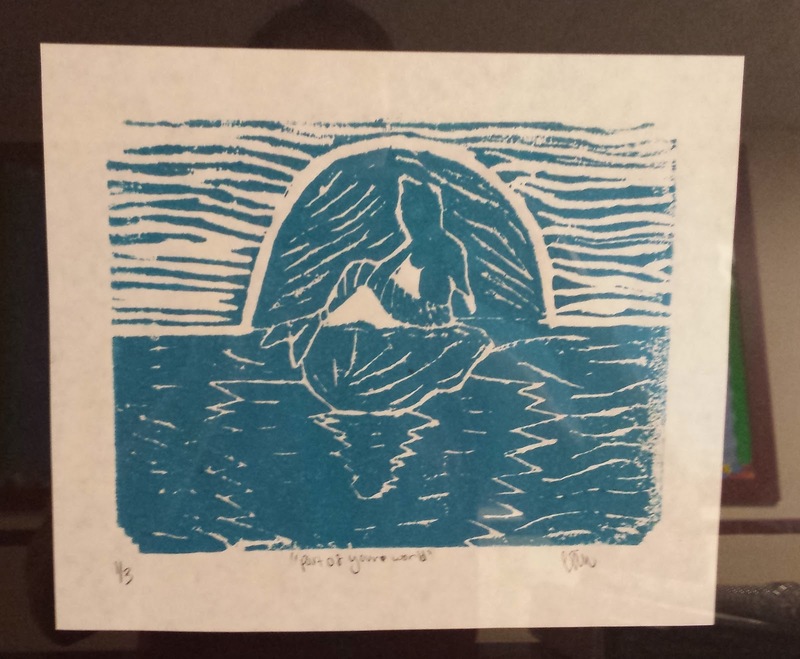 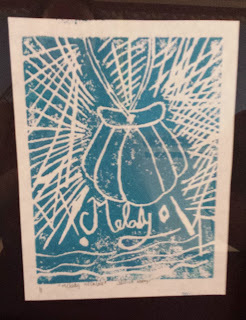 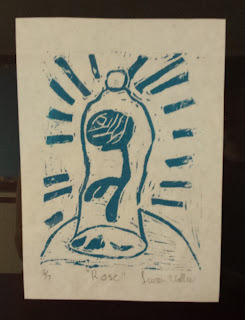 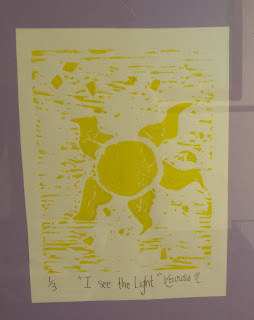 I love printmaking with Middle School and I'm always looking for ideas and suggestions. 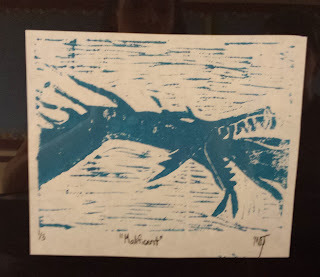 Hit me up with your best!